Not all the staff at visitOslo knows in detail about OsloBG, yet – but all at their stand do now :-) It was inspiring to discuss with them this experiment of using the Blogsphere and other Social Media to gather people from all over the world for three days of exploring Oslo and Norway; our culture, history and traditions. Their site is an excellent start for your exploration and to find out what you would like to see and experience while joining us in August! Their site has an English version, and of course it is all free! Not only Oslo, but Norway’s tourism organisations as a whole are aware of the internet as the most important travel information channel. The Ministry of Trade and Industry has given Innovation Norway the responsibility for the development and maintenance of the official travel guide to Norway: Visitnorway.com. The site includes several means of planning your next trip to Norway and in a lot of languages: visitnorway.com/es or, …./fr, /de, /uk, /us etc! Fun for the children too of course. I hope you will stop by the sites of both VisitOslo and VisitNorway and check out the information they have on travel and tourism. These are two official channels for tourism and give thorough information on what to see, what to do, and where to go when visiting Oslo and Norway in general. Some people coming to the trip may want to extend their stay to see more of the country since they have already travelled so far, and this is a good place to get information in planning your trip. If you are definitely planning on joining us for the Oslo Blog Gathering 2010, I hope you will remember to book your program fee soon! Only the first 50 booked will be able to participate in the reception in the City Hall with the Mayor due to space restrictions. Looks like it’s coming together. It will be here before you know it too. How fun. I’m sure all that attend will have a fabulous time. Looks all very promising ! Hmmm, I’ve always wanted to visit Norway. I’ll have a peek at those sites. Found you through Bettyl. I love the “I heart Oslo” teeshirts! 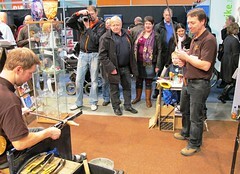 I would stand for hours watching the glass blowing, I love that stuff.. Very interesting to see it all coming along! It was also inspiration for my dad’s visit this summer. I took some brochures and inspiration of how to show him around this beautiful country of yours. And I must say what a wonderful photographer you have, and I really enjoy your camera! I need a time to understand and translate about the program fee. I go and read about. Program fee booked right now!!! Now that looks like a lot of fun, what a good idea to tell about the Bloggers’ Gathering,. can’t wait! nice place, you like massage ? What is the best way to go about getting an RV loan/financing for a travel trailer with fair credit? Renny your are a master at PR for your city of Oslo – I am sure many bloggers will attend as it sounds as a wonderful and exciting event. You’ve been working very hard, Renny! 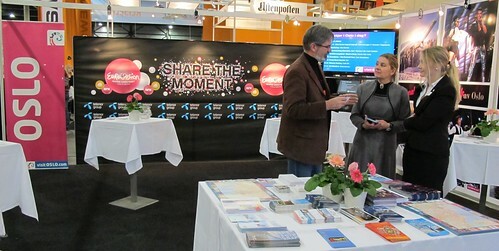 Congrat’s on doing such a wonderful job for tourism in Norway! The pictures are great! This is just SO cool to see the making of! I’m super impressed! You make Norway looks so friendly and welcoming (which I’m sure it is!). Funny how much I learned through you and Diane, considering I could barely put the country on a map two years ago (shame, shame on me!). That looks pretty exciting. Nice pics by the way and great shirt. We are really looking forward to the first international Blogmeeting. And I know the conference fee is only a small percentage of the value of all the Oslo Card( free transportation- bus. metro, local train and ferries), Oslo in 4 hours with guide, sightseeings, museums etc. due to the fact of your effort and VisitOslo’s understanding of the power of blogging. I’ll be there as a native from Oslo. I’m sure the bloggers’ meet will be an awesome one. I pay gas/insurance/maintenence on my car which I also use for personal. mileage reimbursement is of course only for business travel. Whats fair? any feedback helps. I took some brochures and inspiration of how to show him around this beautiful country of yours. And I must say what a wonderful photographer you have, and I really enjoy your camera!